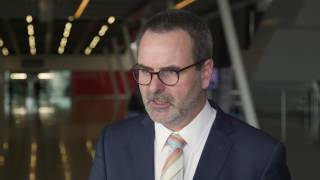 EAU 2017 | Robot-assisted surgery – what are the advantages for clinicians and patients? 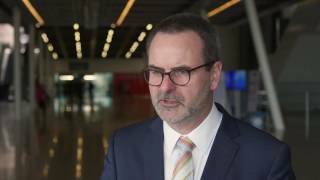 Peter Albers, MD, from the Heinrich-Heine-University Düsseldorf, Germany, explains that there is a big debate on whether robots should be used for surgical procedures at the European Association of Urology (EAU) conference 2017 in London, UK. Prof. Albers highlights that the complications which are seen are different compared to open surgery, however there are great visibility advantages of robot-assisted surgery. Prof. Albers points out that there is a lack of data comparing in detail robotic and open surgery. Aspects which need to be considered when comparing robotic and open surgery include familiar parameters, such as rate of positive margins, time in the operating room, pain management and patient reported outcomes. Prof. Albers concludes that patient-reported outcomes should be regularly recorded for robotic surgery. What do clinicians look for in a surgical robot? What is a semi-live surgery masterclass?